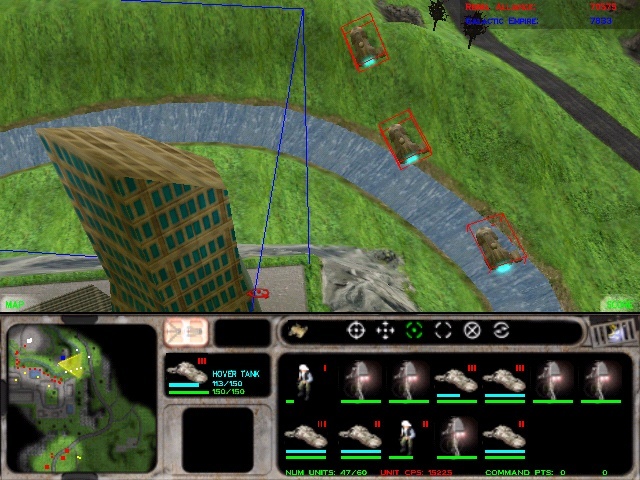 I will write about the Hover Tank (also called Hover Antiair tank, or Hover T1-B Tank) vehicle and its pilot from the game Force Commander in this article. 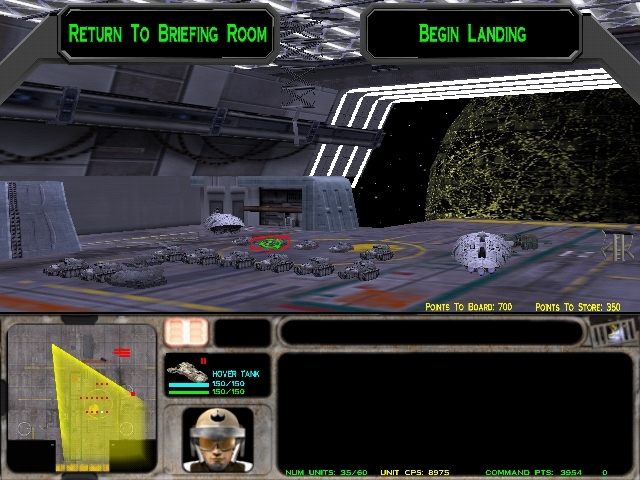 The Hover transport is not only a Force Commander specific vehicle - as I know it can be seen in Empire at War, and surely in Galactic Battlegrounds, but it was FIRST seen in Force Commander (and many other things were first seen in Force Commander). Let's take a closer look of this great vehicle! 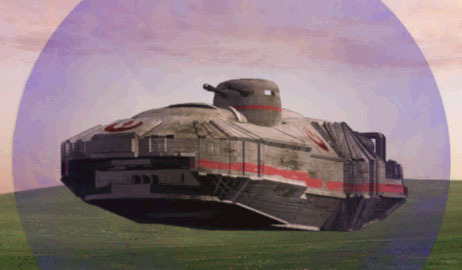 The Hover tank is an interesting pear-shape designed rebel vehicle. The Rebel hover tank family (T1-B Hovertank, T3-B Heavy Attack Tank) was a repulsorcraft used by the Rebel Alliance for assaults on ground installations, enemy infantry, and other armored vehicles. Its mounted laser cannons were good against walker units, and enemy infantry, while its flakpods were particularly devastating against enemy aircraft units. Some hover tanks had a spacious interior, making it capable of transporting strike teams or small squads. The T1-B hovertank however was not really designed for transporting since it has a smaller vehicle, although its interior was still a comfortable workplace for its crew. Usually a hovertank had a 4 member crew, 1 pilot, 1 copilot, and 2 gunner. 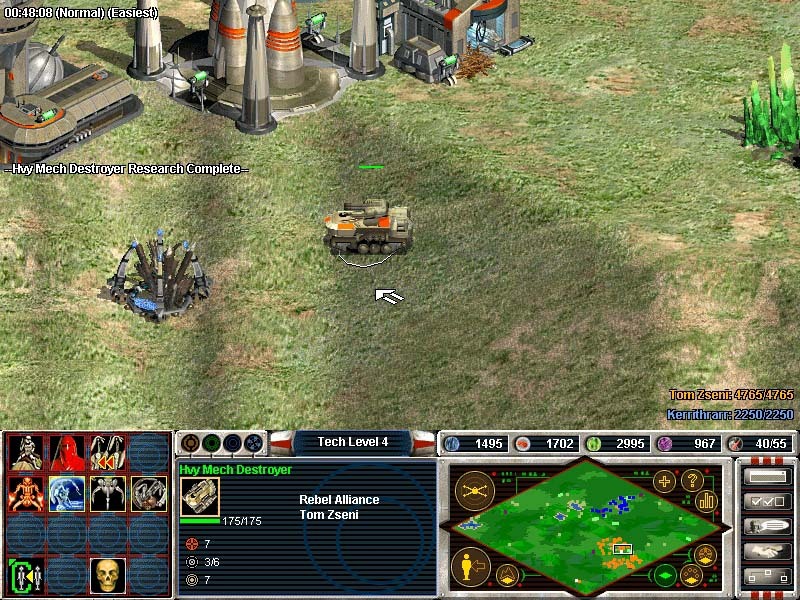 The first gunner manned the 3 flakpods, and were fighting against the enemy aircrafts, while the other gunner manned the 2 lasercannons harvesting the enemy infantry. 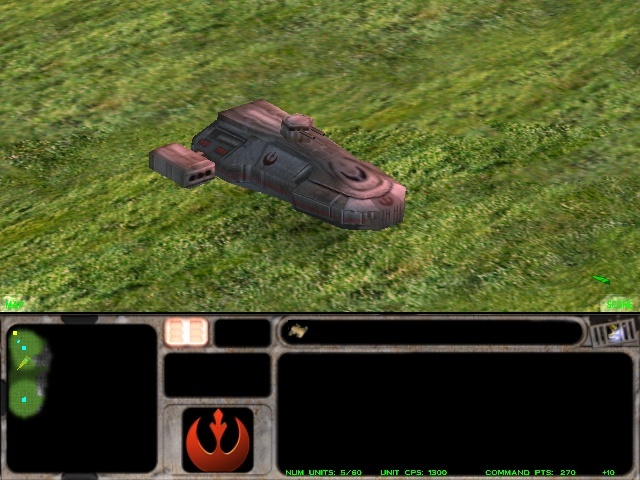 It was used by the Alliance during the whole game, first we have to fight them while directing the Imperial Army with Brenn Tantor, then after he join the cause of the Rebellion, these rebel hover tanks became his light cavalry, pretty the same way as he used the AT-PT fleet before. It was manufactured by Yutrane-Tackata and served the purpose of a swift-moving anti-infantry and anti-aircraft weapons platform, but Brenn found them very useful for the quick surprise attacks against the much more powerful, but just because of this fairly slow imperial machinery. Beside their fast moving an other notable advantage was that the tank was equipped with energy shields in addition to its light armor. This deflector shield did not last long in combat, but kept it safe for several shots from lightly armed enemy vehicles. 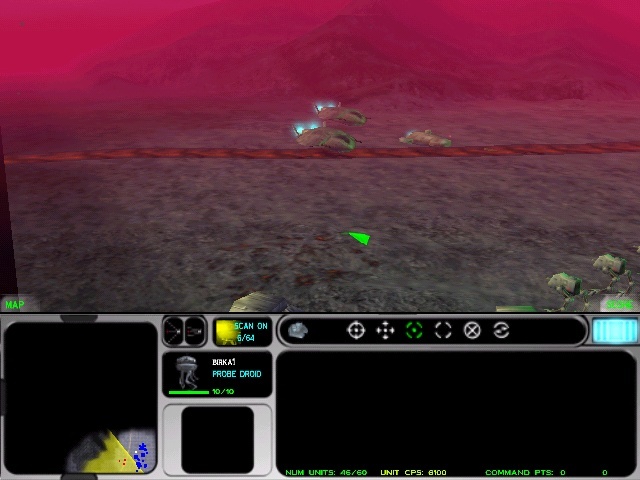 The cinematic which illustrates the Battle of Kalaan when the game starts depicts these vehicles as arriving on the battlefield without their shields, only putting it on when the first shots were happened. While during the gameplay we will realize that their shields are always active, meaning it provides a constant defense for the hovertank and its crew. The T1-B has 150HP without its shield, and the shield adds an extra 150HP protection for it, which is a quite good defence, especially if we count that the shield can regenerate itself, after a while, so we can enjoy its benefit multiple times if the hovercraft remains alive, and can find a peaceful spot on the map where it can regenerate. An other notable advantage was that the tank was equipped with flakpods, and lasercannons, too, which made the Hovertank a great vehicle against ground based and air attacks, too. Its combined power of both warfare made it a great solution for any kind of assaults, although we cannot have perfect solution for everything, so the Hovertank is good against both threats, but just until a point. Lets imagine you had 10 points to share between its abilities, and you put a bit more against aircrafts, then against ground units, lets say you put 6 on the anti air abilities, and the remaining 4 on the anti infantry and anti armor abilities. Since this vehicle is rather an anti air vehicle, it is often called as an AA hovertank, or a T1-B antiair hovertank. The craft could be upgraded to more destructive capabilities, and the improved version was nicknamed the heavy hover tank. This advanced craft never actually appeared in a battle before the Battle of Coruscant. The Hover Tank was armed with two extra Blaster rifles. 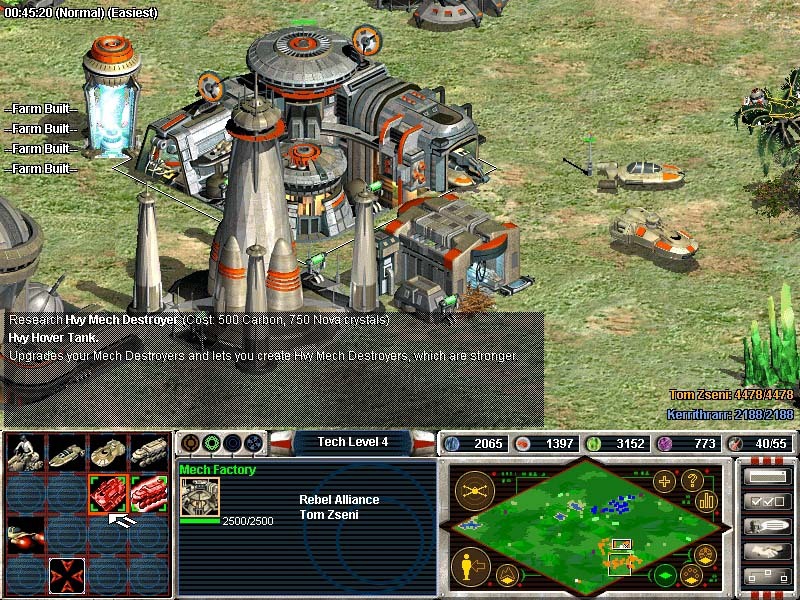 A serious mistake was committed in the game Galactic Battlegrounds in according this upgrade. 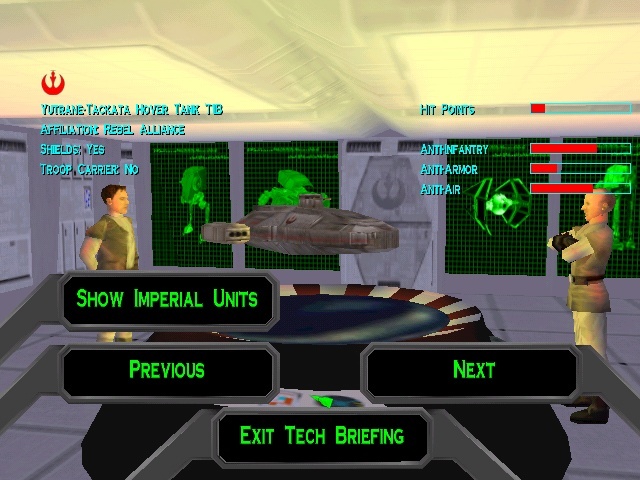 The Rebel Alliance can train anti-infantry vehicles in their mech factory, where the first version of the light armored T1-B hovertank, and after an heavy upgrade it changes into a crawler-type caterpillar tracked Proton attack tank, which is NOT an upgrade of the T1-B, but a completely different vehicle in the game Force Commander, used for totally different military purposes. The Hover tank costs 350 command points, so much cheaper then a plasma thrower torpedo launcher (which is 550CP), and cheaper then the proton attack tank, which is 500CP each. Its laser weaponry and fast movement still provides a great self-defense, and in mass hordes it has a great attack strength, so an AA hover tank can be a good choice when building your army. 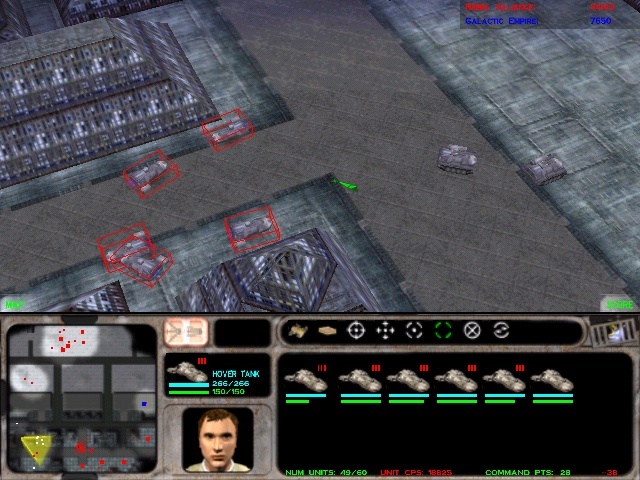 It can be transported down to surface in these white rebel transport ships, you can see in this rebel hangar screenshot. A rebel transport can deploy 2 Hover T1-B Hover AA Tanks to any surface destination. The pilot of the Hover tank never gets out from the vehicle, but fights with the vehicle bravely. He is a military person, so if his vehicle gets destroyed, he becomes a target. 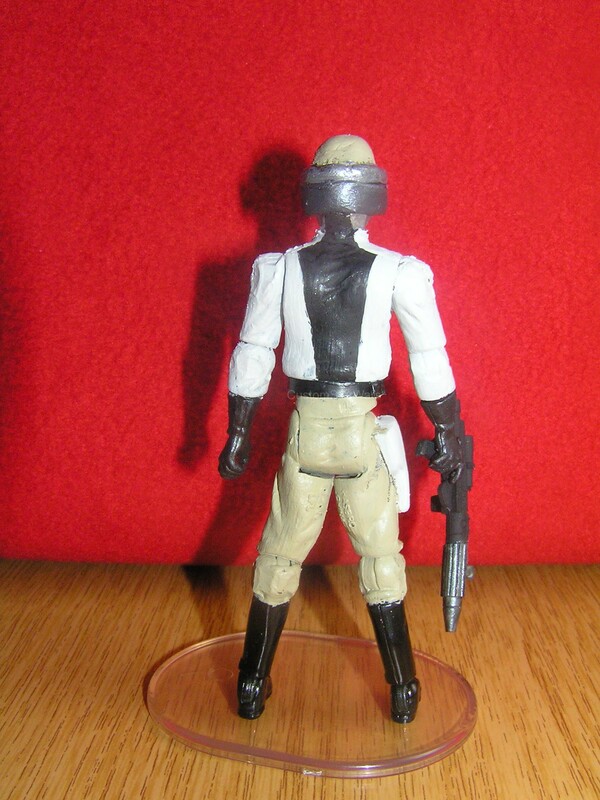 Therefore he has a weapon, a rebel blaster, and has some survivor kit and supplies in the small bags he has on his belt. The Hover tank pilots and the gunners wore a pair of military yellow trousers, and a probably fireproof white pilot jacket, and an open but heavily armored helmet. They have a darkened eye visor, kind of sunglasses, since the enemy pilots often attack from above with the Sun behind them, so those gunners, who man the flakpods have to stare at them, and with these they won't be blinded by the sunshine. Also, the pilot needs always a good sight, so to be able to drive the vehicle in any light conditions. I have never seen a Hover tank pilot figure before, so I decided to custom make one for me. CLICKING a Hover tank, it will report in with the following sentences! Listen to the voice of the original Force Commander Hover tank driver (MP3) sentences! Hovertank is on the ground sir. Just give your order sir! My tank is unable to move there! 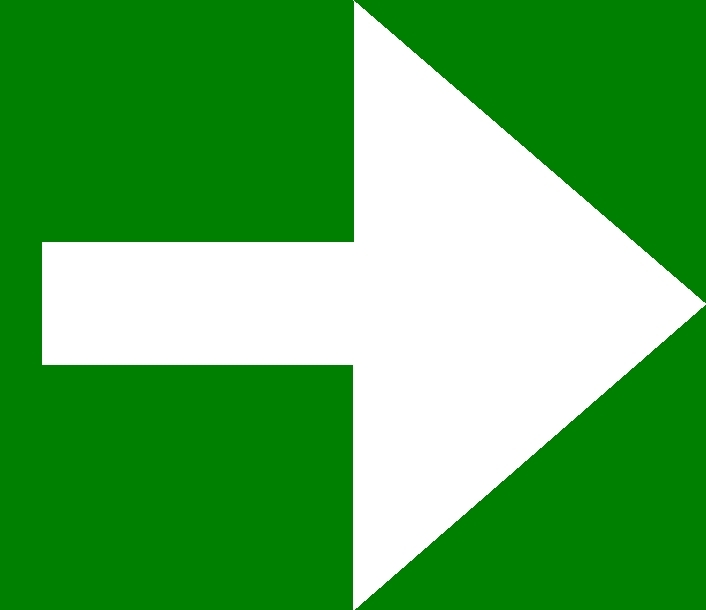 I must remind you commander that I can't get to that destination! Hover tank on it sir! 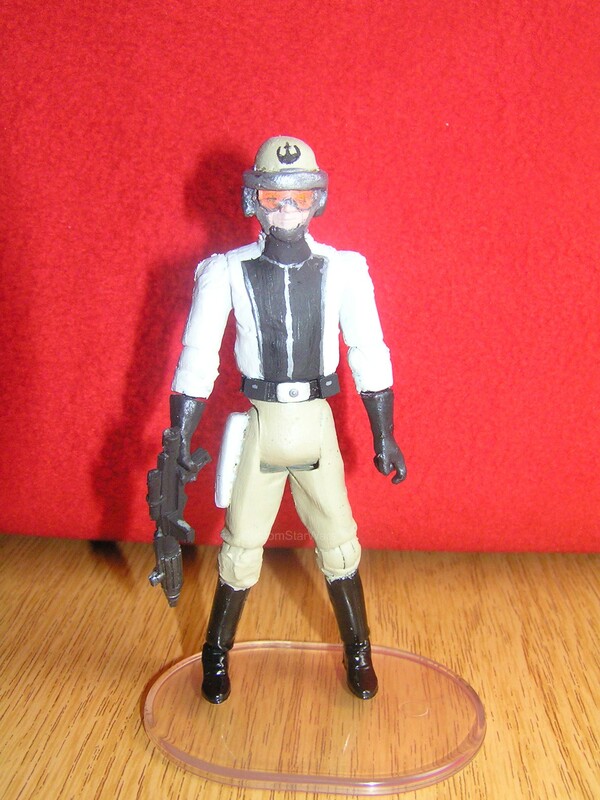 Please take a look at my Custom Hover tank pilot figure! Thanks for your attention, come back soon to CustomStarWars! 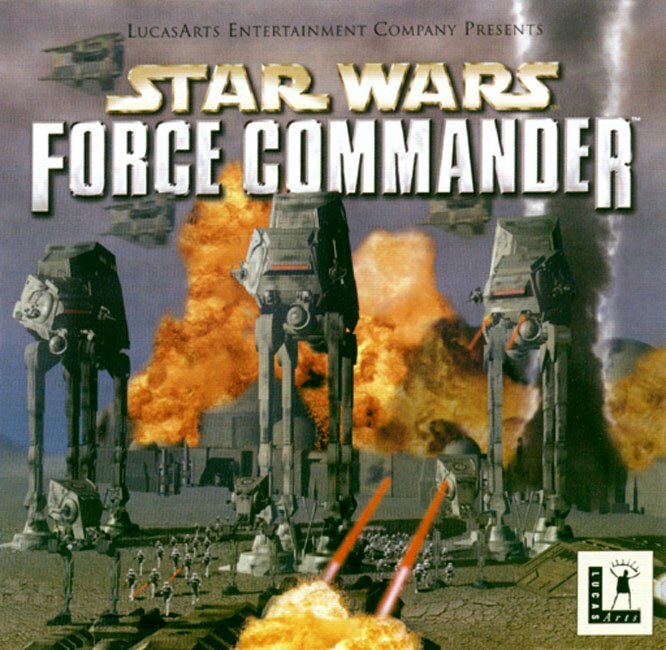 Click this picture, get back Force Commander section, and choose from more Force Commander characters!